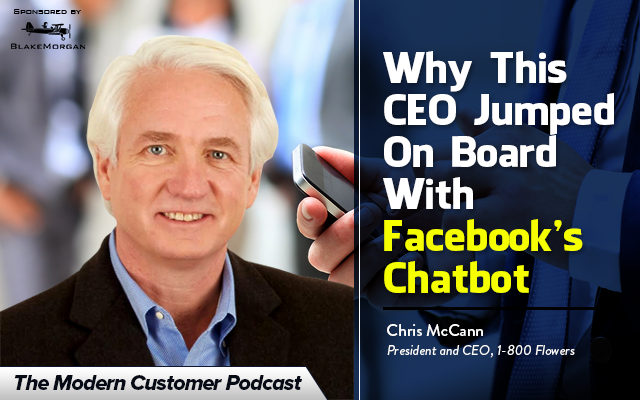 When Chris McCann, president and chief executive officer of 1-800-Flowers.com, was sitting in the F8 keynote with Mark Zuckerberg, he had no idea Zuckerberg would be including 1-800 Flowers in the presentation. The reason 1-800-Flowers.com was everywhere in the press is the announcement of the chatbot release. 1-800-Flowers.com has always been on the brink of technology innovation. They were the first to allow customers to call them to make an order for delivery in the early ’80s. They were the first retail company to have an e-commerce presence on the web in 1992 when they partnered with AOL. Now they are one of the first to take advantage of the Facebook chatbot release. Facebook will now allow businesses to deliver automated customer support, e-commerce guidance, content and interactive experiences. 1-800-Flowers.com uses a few different technologies to run its large e-commerce operation that includes brands such as Harry & David and seven more. Understand the process of launching the Facebook chatbot for 1-800-Flowers.com.